Celcom has just added two Oppo smartphones to its device bundles, offering the high-end Oppo Find 7 from RM538, and the entry-level Oppo Neo 5 from only RM38 when you sign up for a contract with the telco. 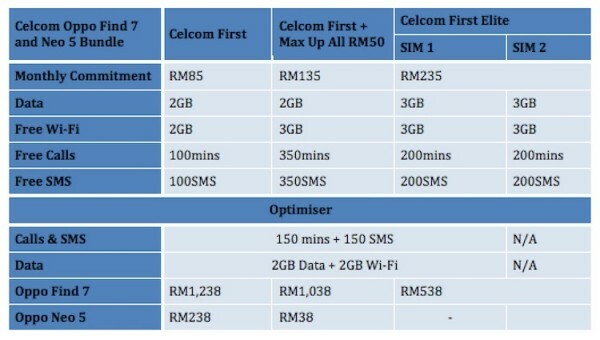 To purchase these Oppo devices at a subsidised price from Celcom, you’ll need to sign up for a 24 months contract under one of the new Celcom First postpaid plans – Celcom First, Celcom First with Max Up All RM50, or Celcom First Elite. 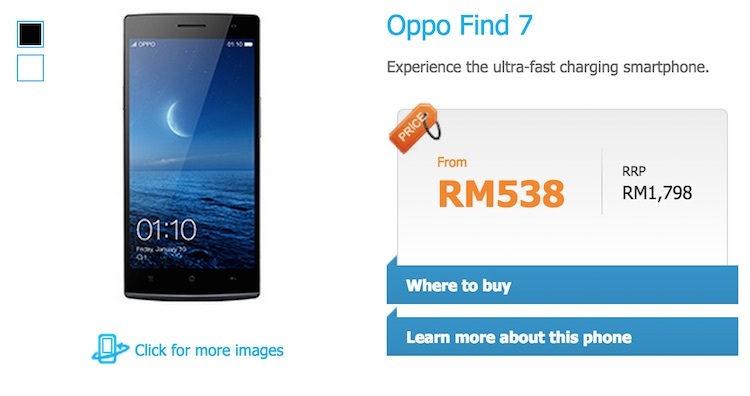 Retailing at RM1,798, the Oppo Find 7 is a high-end Android smartphone from the Chinese company. It was among one of the first smartphone that comes with a 2K display. The Oppo Find 7 features a 5.5” display and is powered by a 2.5GHz quad-core processor with 3GB of RAM and 32GB of internal storage. Other specs include 13MP rear camera, 5MP front camera, and has a 3000mAh battery on board. Check out our review for more information about the device. If you are looking for an entry-level device, the Oppo Neo 5 might be a better choice. Retailing at RM589, it is an entry-level Android smartphone with a 4.5” display. On the insides, it has a 1.2GHz quad-core processor paired with 1GB of RAM and 4GB of storage. Other specs include 5MP rear camera, 2MP front camera, LTE, and runs on Color OS 1.4 based on Android 4.3 out of the box. 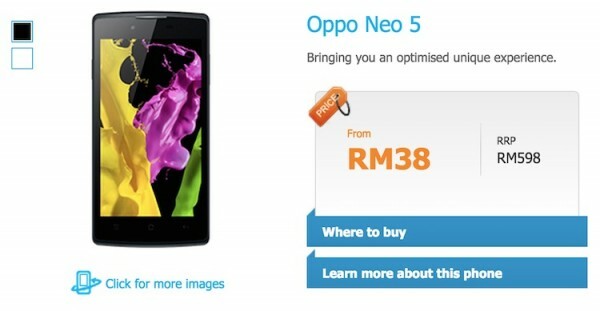 Visit Celcom now for more information about its new Oppo device bundles – Find 7 and Neo 5.